How to fix "No Sound"
There is nothing worse than waking up one day and finding that there is no sound coming out of your computer. I mean, think of all of that music you won’t be listening too! Now, most people think that having no sound is a serious problem. However, in most cases it is not. In fact, you should be able to fix most no sound problems within a couple of minutes if you know how. On this page we want to take a little look at what causes no sound issues with the computer, and perhaps more importantly, how you are going to be able to deal with them swiftly! Most problems with no sound are down to faulty drivers within the computer. If you are unaware, drivers are small pieces of software which enable your hardware (in this case the audio card) to interact with the operating system. Basically, they tell the computer what to do with the hardware. As with most pieces of software, these drivers can fail from time to time. For example, in some cases an update to the operating system may destroy the sound drivers, or you may make other updates to your computer. In other cases the drivers may be simply faulty. Thankfully, most manufacturers try to stay up to date and update their drivers as soon as they know that there are any issues. Your problem however is that more often than not you will not know that there are issues until the computer starts to play up. Drivers do not automatically install themselves unfortunately. Therefore the best solution is to ensure that you update your sound drivers. We estimate that this will fix the no sound problem in around 99.9% of cases. For the rest of this article we want to run you through how you can ensure that you keep these drivers up to date and fix those no sound problems once and for all! As mentioned previously, there is a high chance that it is going to be the sound drivers which are the problem on your computer. If you can update these then you should be able to fix the problem. We are going to give you two solutions for installing sound drivers. The method under this section is the ‘manual’ method. This is not a method that we suggest unless you are really confident that you are going to get things right. As you will see in the next section, the automatic method is going to be much better for those that are not that tech savvy. Firstly, you are going to need to find out the EXACT model number of your sound card. This is where most people have troubles as more often than not the audio card will have a generic name on the computer and thus it can be very difficult to track down the right drivers. If this is the case then the ‘manual’ method is not going to be for you. Tracking down the model number of your sound card will depend on the operating system that you are using. 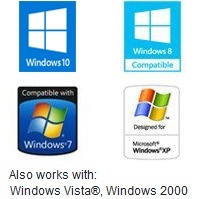 For most Windows machines it will involve loading up your control panel, searching for the hardware option, loading up the ‘system’ screen and browsing for the sound card there. Download the correct sound drivers. In most cases the drivers will come in an executable file. It is simply a case of loading up this executable and the computer will do the rest of it for you. However, in some cases you will have a .dll or other type of file. In these situations you are going to need to go back to the system dialog mentioned previously and install through the options there. Now, the above method for manually fixing your sound drivers is going to work. However, it can be quite a difficult process. If you get it wrong then the chances are that you could end up messing up your computer! This is not something that you want. In fact, the risk is high that even professional computer technicians will only install drivers in that manner reluctantly. Thankfully for you however, there are solutions out there that can help you out. Driver Turbo is a rather nifty little piece of software that you can use to search for drivers that are outdated or missing on your computer automatically. The great thing is, it will only download and install the correct ones. This means that you do not have to worry about messing up your computer at all. In fact, this is without a doubt one of the safest methods for fixing your computer sound issues. We do suggest that you check it out if you are having problems with your computer sound. In fact, check it out if you are suffering from troubles that are not even related to your sound. You will be surprised at just how much it can boost your PCs performance.